Record your notes in this Permanently bound composition book. 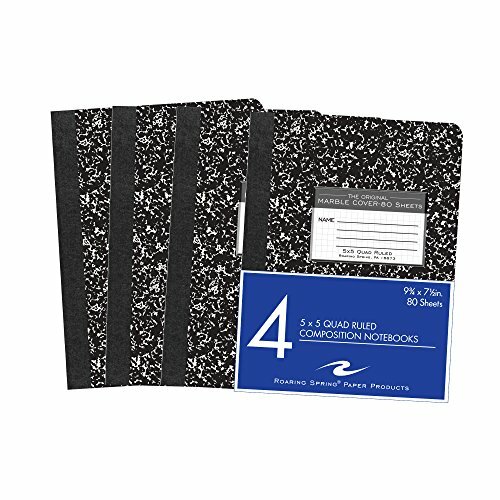 Paper is smooth 15# writing paper with 5x5 graph Ruling. Covers are a hard white board that are printed in the traditional black marble pattern. Inside of covers is printed with class schedule and other useful information. Each book is produced with center-sewn and tape bound construction, not designed for sheet tear-out. Sheet size is 9.75" x 7.5" and there are 80 sheets per book. 4 books per pack, sold by the pack. Sheets are center sewn with thread for secure binding.